Several of us in the Kanban and Scrum community got together recently to build a bridge between Scrum and Kanban. A more accurate way to put is that we got together to document the bridge that is already connecting these two worlds. We are writing a series of blog posts looking at this bridge from different perspectives. This time around Yuval Yeret joins us to write this blog post. Yuval is known as “Mr. Kanban Israel” for his work helping establish a strong Kanban community with several enterprise product developments in the “Startup Nation.” Today, he leads the Scaled Agile practice and North America consulting services at AgileSparks, a global Agile consulting firm. 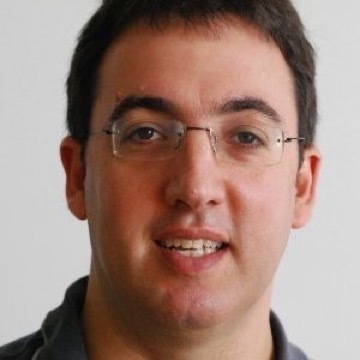 Yuval and AgileSparks have been bridging Scrum and Kanban in the trenches for several years. Kanban is a method that uses a work-in-process limited pull system as the core mechanism to expose operation (or process) problems and to stimulate collaborative improvement efforts. If you’re already using Scrum and want to add some Kanban practices, you’ll find its principles make a lot of sense. Use Kanban’s practices to guide your empirical inspect and adapt process. Kanban’s practices don’t require you to change the current Scrum roles, events, and artifacts as documented in the Scrum Guide. Many Scrum Teams already visualize work and its flow using a Scrum board. This practice can be a great way for teams to keep their plan up-to-date and transparent, to see opportunities to collaborate in order to complete the Sprint Goal, and to identify forecasted items that may not be completed by the end of the Sprint. One of the keys to effective visualization for a Scrum Team is to make sure it sees the flow of Product Backlog items from idea identification, through refinement, analysis, design, coding, testing, and deployment; all the way to “Done.” This is what Kanban teams call the value stream. It is not enough to simply visualize the Sprint Backlog. It is important to make the flow of work into and out of the Sprints visible as well because many teams have difficulty with this aspect. Visualizing the flow throughout the value stream means we should mainly visualize the flow of Product Backlog items (PBIs) rather than tasks. Once you have a Kanban board visualizing the flow, the next step is to implement a Kanban system. This calls for limiting the Work in Process, which in a Scrum context means you limit the amount of PBIs in progress at any time. As professional Scrum practitioners should know, the Sprint itself is a WIP Limit. A Sprint limits the number of PBIs that a Development Team forecasts it can complete during a fixed period. This is such a powerful aspect of the Sprint that I wish more Scrum Teams would understand and use it. What typically happens when I talk to Scrum Teams about Kanban and limiting WIP is that they either come away with a deeper understanding of why the Sprint has been helping them focus and collaborate or they recognize that they’ve been missing something important in how they have been implementing Scrum. For both these cases, taking it one step further and using more granular limits on the number of PBIs active at the different stages of the team’s flow during the Sprint helps improve that flow, focus, and collaboration even further. Typically, Kanban boards specify WIP limits in different stages of work that the development team performs (e.g. design, coding, testing, deploying, etc.) Once the limit is reached in one stage, instead of starting a new PBI, members of the development team help others deal with the current PBIs already in progress. This can mean helping others in your area of expertise or helping others in their areas of expertise (e.g. coders help testers, testers help business analysts, etc.). This virtual Kanban system can extend beyond the Sprint boundaries to include activities across the entire value stream such as discovery activities, refinement of PBIs, and production support. WIP limits should be low enough that they introduce pain-- meaning that they push you beyond what you’re comfortable with and used to. You want to channel this pain towards ways of improving the team’s process and policies so that in the future, the flow will be better and the WIP limit will be less painful. Improving engineering practices, using techniques such as acceptance test-driven development (ATDD), reducing batch/PBI size, cross-training, or any other technique are all ways to make the WIP Limit more comfortable. Over time, as team capabilities improve, the WIP limit can be tightened to catalyze even more improvement in capabilities. Limiting WIP is an effective way to drive deep collaboration at the team level. By making your process explicit, you enable empowerment. Kanban encourages Scrum Teams to bring additional transparency to their process, not just their work. Based on this transparency and clarity team members can be empowered to self-organize (See David Marquet’s leadership approach based on his book, Turn the Ship Around!). Making the process explicit also helps Scrum Teams improve their existing processes. With the “invisible” process now made visible, healthy discussions about questions such as, “why do we do things this way?” or “how will changing this policy affect our flow/results?” become easier and happen more naturally. Scrum’s definition of "Done" is an excellent example of an explicit policy. Another example is the Scrum framework itself. The Scrum Guide is an explicit policy that a Scrum Team implements. Kanban teams add explicit policies such as the WIP limit for each lane or each person, escalation/ class of service policies, How to visualize and deal with blockers, How to prioritize work. Scrum Teams use Sprint Planning, the Daily Scrum, the Sprint Review, and the Sprint Retrospective as examples of feedback loops for the process and the product. To take it one step further, consider running a Sprint Retrospective in a quantitative data-driven way. By using reports such as cycle time control charts and cumulative flow diagrams, Scrum Teams can gain deeper insights into the flow of work, thus driving improvement experiments that don’t surface as a result of a classic Sprint Retrospective. Scrum Teams should naturally embrace this empirical approach to process improvement. Professional Scrum Teams should have already embraced Kanban’s ”Improve Collaboratively” practice. The core purpose of the Sprint Retrospective is to give all members of the Scrum Team the ability to inspect and adapt how the team works. As part of the Sprint Retrospective, Scrum Teams should consider adding the use of models and the scientific method to guide their evolution empirically. Retrospectives are the place to design experiments based on ideas of how something might improve the team’s capabilities. Plan what the team aims to test and how it will validate that it is heading in the right direction. In the next Retrospective, review the results and decide whether another round of experimentation is necessary (pivoting) or whether the team can deploy the change as a standard operating policy. Use improvement frameworks such as A3 / Toyota Kata for this process. Explore models such as Reinertsen’s principles of product development flow to understand the interaction of batches, cadence, heartbeat, teams, variability, WIP, and cycle times in ways you hadn’t before. In this post, I outlined Kanban’s guiding principles and practices as applied to a Scrum context. I only hinted at the specific improvements that Scrum Teams are likely to see as they incorporate Kanban practices. I did this on purpose. These sorts of improvements are NOT prescribed by Kanban. Perhaps you will see these improvements emerge if you implement Kanban on top of Scrum or you may see something different. Kanban is just a method. It is not a methodology. In future posts in this Scrum and Kanban series, we will provide examples and stories about where applying Kanban principles can take Scrum teams.